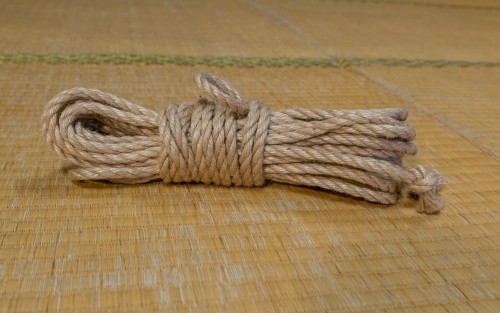 A Japanese made Asanawa style jute rope with a lovely soft lay that is also extremely hard wearing. 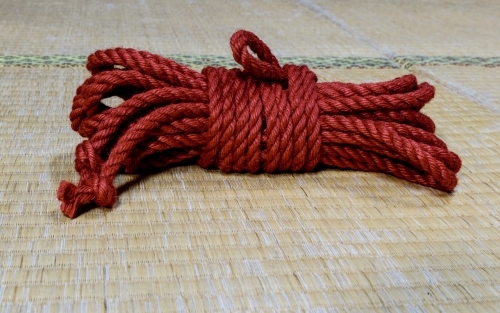 The rope has been dyed hot pink in a wet dye process, which does result in a slightly thicker than 6mm rope (around 7~7.5mm). However it stretches down to 6mm very quickly with use or in a conditioning/stretching process, so we sell it as a 6mm rope. 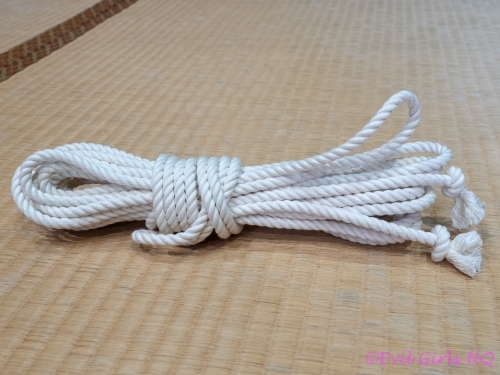 The pink dye does not quite penetrate right through the rope, there is some natural colour in the centre.